Does the prospect of taking your Dodge in for auto repair in San Diego strike fear in your heart? Perhaps you don’t know anything about automobile engines and are worried about the underlying cause of a strange noise or odd smell coming from yours. Or maybe you’ve heard horror stories about people who took their cars in for a simple tune-up and walked away with thousands of dollars in repair costs for unrelated problems. These unfortunate incidences have created an atmosphere of mistrust regarding both private mechanics and those who work at dealerships. The good news is that, with a little research to see which auto repair shop gets the best reviews, you’ll find there’s one out there that consistently gets five stars from previous customers. A quick look at the customer testimonials page on the Transmasters Transmissions and Auto Repair website will leave you reassured. We’ve been servicing the San Diego area for over twenty-five years, and our technicians are trained and certified in service and repair of all the major components of automobiles. Our customer’s comments center around the honesty and professionalism of our staff and the great prices we charge. At Transmaster, we pride ourselves on our dedication to customer service; this includes listening carefully to your concerns and explaining exactly what our recommendations are and how much they will cost before we do anything to your car. 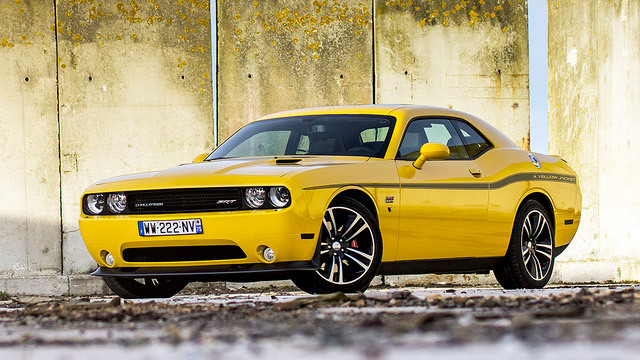 Whether you own a Dodge truck or muscle car, we’ve got you covered. The staff at Transmaster is trained to diagnose engine problems and get right to the source of the issue; saving our customers valuable time and money. With some of the best mechanics in San Diego, CA, we guarantee our work, which means we aren’t finished until you’re satisfied that your car is running smoothly. If you find yourself in need of transmission service, repair or even replacement, we’ve got a in-house transmission repair and rebuilding facility that is state-of the-art. One of the worst parts about taking your vehicle to the shop is being without transportation. At Transmasters, we specialize in quick service, which means we’ll fix your Dodge fast and have you back on the road in the minimum amount of time. Call or click on the Transmaster Transmission and Auto Care site to discover for yourself why we’re considered the best Dodge auto repair shop in San Diego.